P.I. Alltraine is an award winning poet and author. She has won several international poetry competitions, and her poems have been published in separate anthologies. She teaches English Language and Literature in London. She earned her degree in BA English from Queen Mary University of London, a Post Graduate Certificate in Education and Master’s in Teaching at the UCL Institute of Education, University of London. IAN: Please tell us about your latest book. P.I. Alltraine: Petyr has never found it necessary to consider the humans as anything more than distant, inferior beings–until now. They are the cause of the fatal disease that has plagued his realm, taking the lives of too many of his kind. As a future leader of a realm in peril, Petyr must find a way to resist and cure the affliction. He must enter the unfamiliar realm, appear to be an ordinary eighteen-year-old human, observe and learn. However, things don't exactly go according to plan. Instead of embarking single-mindedly on his sober mission, Petyr meets an 18-year-old girl who does things to his emotions that he can't quite fathom or control. Petyr is falling in love, and he almost forgets the gravity his choices have on his entire world. Despite the risk it poses to his life and hers, he wants to know her, and he wants her to know him–and his world. 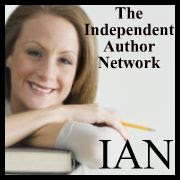 IAN: Is your book published in print, e-book or both? P.I. Alltraine: The kindle edition is to be released on August 5, 2015, and the print edition will follow in a few months. IAN: Where can we go to buy your book? IAN. What inspired you to write Heartbound? P.I. Alltraine: The story came to me and demanded to be written. I know, I know. It’s the most clichéd answer ever, but writers keep saying it for a reason. It’s hard to describe the impact of a powerful idea. When it hits a writer, it’s no longer a choice. You have to write it, or it will drive you mad. In my case, I was minding my own business, and all of a sudden, there was this image in my head. It hit me so hard that I had to stop what I was doing. I picked up a pen and paper and started to scribble. My husband walked in and found me on the floor with pieces of papers around me. At that point, the outline of ‘Heartbound’ was completed—chapter by chapter, from beginning to end. IAN: Do you have a specific writing style? P.I. Alltraine: I listen to my characters and let them do the writing for me. 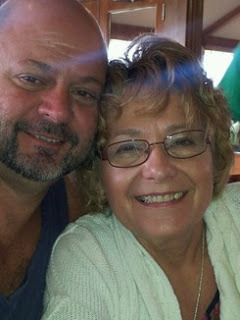 I don’t always agree with what they do or say, but I always try to be faithful to them and the world that I’ve created. IAN: What do you hope your readers come away with after reading your book? P.I. Alltraine: ‘Heartbound’ is about Petyr’s journey, but it’s also about YOU, your own identity, your own bravery to follow your heart, and your own courage to find your place in the world. IAN: How is your Heartbound different from others in your genre? P.I. Alltraine: It’s unique in a sense that I’ve created a completely new world/realm, new creatures, new myth, etc. But I think what sets it apart is how, through the narrator, Petyr, we can see the world around us in a completely different perspective. We take a lot of our experiences and emotions for granted, and hopefully seeing Petyr go through them for the first time will encourage the readers to realise how incredible it is to be Human. IAN: What books have most influenced your life most? P.I. Alltraine: I love pieces that make me feel something I can’t explain or change my perspective. When I read anything by Virginia Woolf, for example, be it an essay or a novel, I feel baffled and enlightened all at once. ‘Paradise Lost’ by John Milton, ‘Things Fall Apart’ by Chinua Achebe and ‘Dubliners’ by James Joyce are some of my favourites because these literary pieces pulled me into an unfamiliar world and compelled me to change my perspective. For instance, I was raised Roman Catholic so when I read ‘Paradise Lost,’ I found the sublimity and the epic heroism in a figure I grew up seeing as a one-dimensional villain very enlightening. It was empowering to see how Milton took something a lot of people considered sacred, especially at the time, and manipulated it with such grace, such skill. IAN: If you had to do it all over again, would you change anything in Heartbound? P.I. Alltraine: The short answer is no, but there were moments when I thought about it. For a long time, I had a rather complicated relationship with Petyr, the narrator. Half-way through writing the novel, I wanted to change the narrative perspective because I decided I didn’t like Petyr very much. I didn’t agree with his decisions, and the way he was constantly overthinking everything. It was so exhausting for me as a writer. I also hated how he kept assuming that Scarlett (the main female character) wouldn’t be strong enough. It wasn’t until the book was finished when I realised that the decisions I didn’t agree with became rather fundamental as these created moments that drove the narrative forward. And of course Petyr would initially assume that Scarlett wouldn’t be strong… it’s not because she’s a woman, but because she’s human, and compared to him she is fragile. IAN: Who designed the cover? P.I. Alltraine: The cover artist is called Melody Pond, an excellent choice by Soul Mate Publishing’s Cover Art Coordinator, Cheryl Yeko. I wanted something that would accentuates the romance, the fantasy, how out of place Petyr is in this world, but I wanted it to be enchanting. There were many, many drafts. I think Melody did a magnificent job with the cover (and being very patient with me). IAN: Did you learn anything from writing Heartbound and what was it? P.I. Alltraine: When I was writing ‘Heartbound,’ there were times when I didn’t agree with my characters’ actions, but I couldn’t change it because it wasn’t my decision anymore. That’s when I realised what being a writer truly means. Everyone can write a story, but to create a world with a life of its own, I think that takes a writer. IAN. Do you have any advice for other writers? P.I. Alltraine: Write for yourself. It doesn’t matter if your style doesn’t fit the current trend or if some circles won’t consider it “good writing.” Write because you want to, and write whatever the hell you want. Writing is not a way to fit in or please others. It’s one of the very few things in the world that allows the liberty to be true to yourself. IAN. Do you have anything specific that you want to say to your readers? P.I. Alltraine: Heartbound’ is a fantasy so it’s littered with elements that are out of this world (literally). But at its core, it’s about questioning and finding one’s own identity, trying to find a resolution between who you’re meant to be and who you want to be. It’s about finding the bravery and courage to go against the tides, refuse to conform, and fight for something that means everything to you but means nothing to everyone else. IAN: Tell us about your next book or a work in progress. Is it a sequel or a stand-alone? P.I. 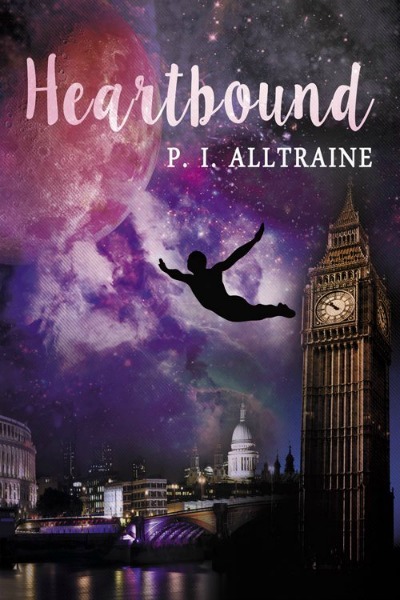 Alltraine: I’m currently writing the the second book in the Heart Series (sequel to ‘Heartbound’). I’m also working on some poetry (spoken word). I’m building a collection that will hopefully be ready for publication by next year. There’s a video performance available for ‘Unmoving,’ and a few more from the collection should be up soon. Elizabeth S. Sullivan was born in Chicago and grew up in the LA area. Impassioned by social justice issues, inspired by her parents, she pursued teaching and earned a law degree. She has written five screenplays, one short. Her screenplays have placed or won such as: Nicholl, Austin, Page, and American Zoetrope. 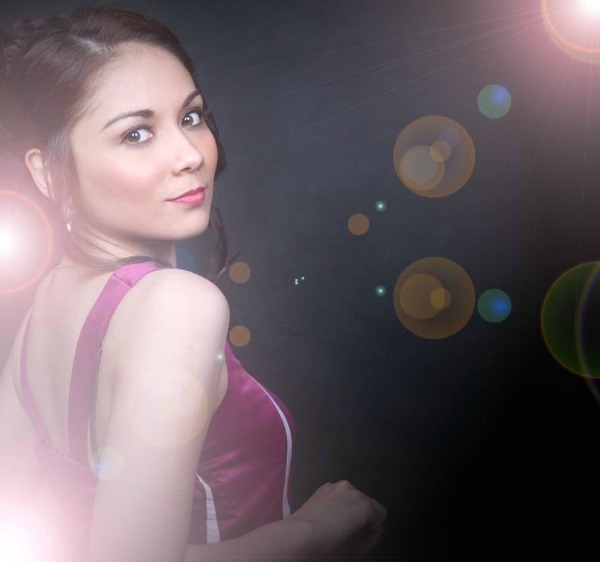 These recognitions garnered her a manager, Alexia Melocchi, Little Studio Films. Her first novel, Purified portrays a strong female protagonist in the genre of a noir thriller. Sullivan explores issues of race, gender, privacy in the cyber age. 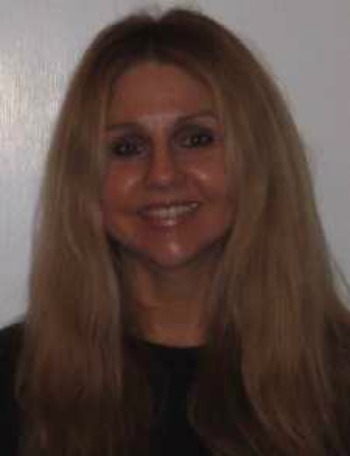 She has written several blogs on of women in fiction featured on Venture Galleries. She is busy working on the sequel to Purified and a new screenplay. IAN: Please tell us about Purified. Elizabeth S. Sullivan: When a mutilated body of an African American girl is found in a park sandbox, the media shows no interest. Instead, their attention is riveted on the disappearance of Olivia Safra, a college student and only child of the powerful and dangerous Richard Safra. Suspended ADA, Beck Oldman, demoted to a rookie PI is assigned her first cases to find a missing teenager and Olivia Safra. Leads connect the murders to the Safra case. The investigation into her client's private life reveals a dark side in the relationship between a father and daughter and exacts his wrath against Beck. More girls are found murdered, putting Beck in a race to stop a serial killer and stop her own client from destroying her. PURIFIED is a thrilling story that explores many dark subjects, including what it does to those who have to live in the world of killers in order to stop them. 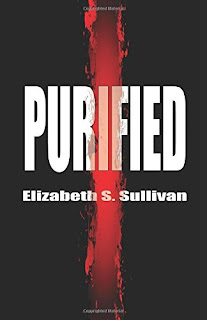 Elizabeth S. Sullivan: Purified is in both ebook and paperback form. IAN: Where can we buy Purified? IAN: What inspired you to write Purified? Elizabeth S. Sullivan: I was inspired by Raymond Chandler, James M. Cain and all of the thriller and mystery writers that have entertained me throughout my life. I am also motivated by social justice issues. All of my stories have one or more at the core. Purified was a perfect vehicle for me to explore this in my favorite genre. IAN: How did you come up with the title? Elizabeth S. Sullivan: The title, Purified, came from one of the important themes explored, cannot reveal it as it is a key clue. I did a lot of research on this issue and it seemed the perfect title. IAN: What do you hope your readers come away with after reading Purified? Elizabeth S. Sullivan: My hope is readers are tricked by the twist in the ending. My most fervent hope is that readers feel they have met a new female PI whose flaws are not that of the usual burned out male PI. Women handle things differently than men, including women who have to track down killers. Beck is a unique protagonist, one I hope they find tough but sympathetic. IAN: How much of Purified is realistic? Elizabeth S. Sullivan: All of the issues in the book were researched, so a good deal of the book is based on reality and facts including Beck’s flaws. IAN: Who is your favorite author and what is it that really strikes you about their work? Elizabeth S. Sullivan: Shakespeare is an important influence in my reading. While I have been moved, motivated, and utterly entertained and influenced by many writers, I do not know of any who has made my jaw drop, LITERALLY, so often than Shakespeare, or has brought me to tears and hours of self-reflection. IAN: What book are you reading now? Elizabeth S. Sullivan: Currently I am reading Jo Nesbo’s The Redeemer and A Freeman of Color by Barbara Hambly. IAN: Do you recall how your interest in writing originated? inspired me to write. The love of story, its ability to transport, and the love of words. IAN: Is there anything you find particularly challenging in your writing? Elizabeth S. Sullivan: It is particularly challenging for me to write every single day. I find many distractions that keep me from confronting my own anxiety as to whether I can pull of completing another page and feel it is worthwhile. 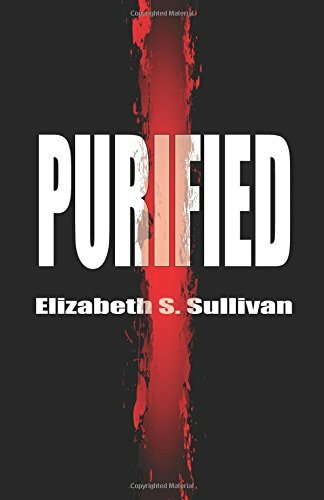 Elizabeth S. Sullivan: The next book I am working on is the sequel to Purified. Beck, Will and her arch nemesis, Richard Safra will return a case that involves revenge and murder. Bob Kern is a native Hoosier. Born and raised in Indiana. At the age of seventeen, he enlisted in the US Army serving almost 8 years in the infantry. The horrific events of 9/11 had a profound effect on Bob when other people began thanking him for his service. Suddenly, feelings of guilt overwhelmed him for not actually seeing combat. Knowing there was nothing to be ashamed of, Bob realized many Cold War veterans probably had similar feelings. Being a peacetime soldier in a wartime era has this effect. Bob decided to write and publish the story of his military career so that others may have an inside view of what it was like to be in the military at that time. Bob is the father of five children - Natalie, Bambie, Amber, Bob, and Rob. He resides in Bedford, Indiana with his wife Marsha and his three granddaughters; Sage, Jade, and Harmonie. IAN. Please tell us about We Were Soldiers Too. Bob Kern. The Cold War was an important part of history that ended with the fall of the Berlin Wall. Everyone knows the headlines of this era but few know the details and just how close the world was to World War III and a nuclear war. Politicians take credit for ending the Cold War, but the real credit goes to the men and women who served in the military. They trained hard and remained in a constant state of vigilance, ready to protect the world against a Soviet invasion and the spread of communism. This is a personal account of military service and the historical events that were happening during President Reagan's time in office as the world faced the possibility of nuclear war. Serving as the first line of defense for a Soviet invasion in Germany, he found himself assigned the responsibility of defending an area in the Fulda Gap with only one objective, to hold the advancing Soviets until reinforcements arrived. An assignment that likely would have been at Ground Zero of a nuclear war. We travel back to Fort Knox with the author and experience firsthand the infantry transition from the slower, heavy armor vehicles to more technologically advanced armor like the Abrams tank and the Bradley Fighting Vehicle. We learn how soldiers fared in Schofield Barracks, the most physical assignment as his unit began converting to light infantry. IAN. What inspired you to write We Were Soldiers Too? Bob Kern. The guilt I felt being thanked for my service after 9/11. I knew people assumed I was involved in the war on terrorism and had no idea I was a peacetime soldier. I suspected other vets had to struggle with this same guilt and shouldn’t. 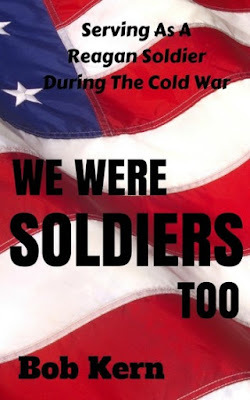 I thought if I told my story and showed how physical and demanding it was people would know Cold War veterans played a very key role in the world, particularly preventing World War III and a likely nuclear war. IAN. Did you use an outline or do you just wing the first draft? Bob Kern. I had a general outline in my head and just sat down and started typing it out, one chapter at a time. Since it was about my military career, it was only a matter of telling stories about myself in the order they happened and making the military aspects of it easy to understand. IAN. How long did it take to write We Were Soldiers Too? Bob Kern. From the moment I first sat down and typed the first word to the final edit, it took about a year to finish this book. IAN. What do you hope your readers come away with after reading your book? Bob Kern. I want people to realize it takes a special kind of person to make the commitment to put their country first, ahead of their own life and family. It doesn’t matter when or where they served, the threat of being sent into combat is there every day. Soldiers train hard to be ready for this, even if they never see combat, because they took that oath. Every veteran deserves to be respected for their service. Just as important, every veteran needs to be proud of their service. IAN. How much of We Were Soldiers Too is realistic? Bob Kern. I hope the whole book is realistic. I tried to paint an accurate picture of what I went through, how it felt, and what I was thinking as I went through my career. I wanted readers to be able to see it through my eyes as I was transformed from that naïve seventeen year old to the dedicated, die-hard soldier I became. IAN. Are experiences based on someone you know, or events in your own life? Bob Kern. Everything in this book happened to me. It is my entire military career told from my perspective. IAN. Name one entity that you feel supported you outside of family members. Bob Kern. Cold War Veterans. I can’t say enough about the the support I have gotten from so many veterans. Some of the emails and messages I have received have brought tears to my eyes. The kind words about my book and the gratitude this group has shown me for trying to tell our story has been very rewarding and is the reason I have committed myself to turning this book into a series, sharing the stories of others. Bob Kern. I hope you have a better understanding of what it was like to be a soldier in the 1980’s and I hope I was able to give you a bit of a history lesson on the Cold War and the role we played in it. IAN. What were the challenges (research, literary, psychological, and logistical) in bringing the book to life? 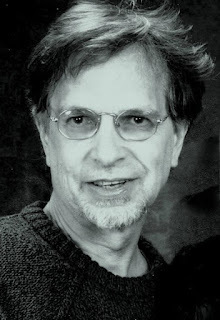 Bob Kern. Marketing. Trying to get the word out and create interest is by far the most difficult part of the process. There are hundreds of thousands of people wanting to take your money by promising to sell you their secret to marketing an ebook if you buy their book, join their group, buy their membership, or pay for their services. Sifting through all the offers (and wasting money) trying to find what works was very challenging. Marketing the book is a very time consuming process, even after figuring out what to do. IAN. Is We Were Soldiers Too published in print, e-book or both? IAN. Where can we go to buy We Were Soldiers Too? IAN. Tell us about your next book or a work in progress. Is it a sequel or a stand-alone? I hope to be able to release all three sequels by the end of this year. option that makes perfect sense. While not always plain sailing or a walk in the park, the advantages of self publishing are significant and hard to ignore. Let's see what you stand to gain from taking the self publishing route. 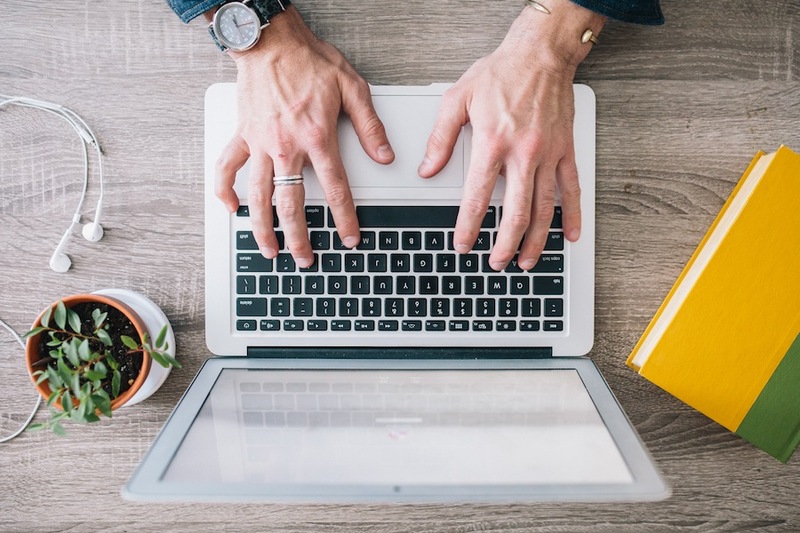 Here are three of the most definitive advantages of self publishing. When you self publish, you have to pretty much do all the work. This additional effort is rewarded by the fact that you can keep all the profit from your book sales. This is one of the advantages of self publishing that will apply in particular to anyone who already has a way of promoting their book to an audience. Think in terms of motivational speakers, who can easily self publish their books and then sell them right at their seminars. If you already run a bookshop, either online or offline, this can also be the perfect way to get buyer's eyes on your new book right away. This is one of the big advantages of self publishing. A publisher will inevitably tie you down and control the look, layout and other aspects of your book. If you self publish, you will have complete control and freedom over how the book looks, and you can easily do further self promotion inside where the publisher would have promoted themselves instead. This is particularly good for business related books, or anyone who has a backend catalogue that the reader may be interested. If they like your book, chances are they'll want more, and you can easily advertise this inside your self published book. You can also choose the cover design and other visual aspects of your book to suit your own preferences. This yet again ties into one of the big advantages of self publishing: the fact that you maintain total control over your book. If you publish a printed copy, you can easily convert that into a digital publication as well, for example. Many publishers will not allow you to do that without further red tape. If you find it hard to sell your book, you can break it up, give it away for free, sell rights to it. As long as you maintain control as a self publisher, your work can continue to serve you in many ways even if it fails in its primary objective. So, those are just a few of the advantages of self publishing. It may not be right for everyone, but many people have had great success with it.